Hello and welcome to my monthly Compassion Share & Tell link up! 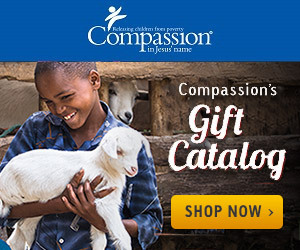 This link up gives us an opportunity to share with other Compassion sponsors what we are sending to our sponsored kids each month. With Thanksgiving just a couple of weeks away, I was able to find the "I am thankful for..." printable on Compassion's Second Friday Letter Writing Club board on Pinterest. Then on one of my journeys through Hobby Lobby, I found these great cards! Did you know that DaySpring has a line of cards called Colors of Compassion? A portion of the sales from this line of cards goes toward Compassion's Child Survival Program! Win, win in my book! Katherinne is just a few months older than my daughter Kelsey. We have already talked about planning a trip together in about three years for the two of us to visit Katherinne. Lord willing, I sure do hope will we have that opportunity together! Time for you to join this link up!